Woo-hoo! 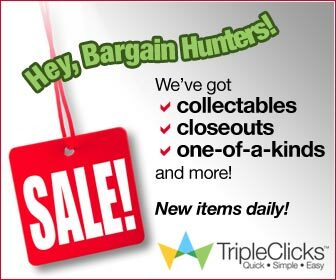 Affiliates, ECAs have created 1,000+ Product Collections at TripleClicks! screenshot_1058The new TripleClicks Product Collections tool is less than two weeks old, and already SFI Affiliates and TC ECAs have created more than 1,000 unique, themed product collections with which to promote TripleClicks–with new product collections being added every day! In case you missed it, the new Product Collections tool lets you group collections of individual products that you want to promote for whatever audience (or even person) you want to target! You can create as many collections as you like, and promote them through a special affiliate link or even create a custom banner for online promotions. The possibilities are endless. Creating your own collections is easy and quick. Just follow the directions (or learn more about Product Collections) HERE.